Dear Customers, Last year several sound designers from Spain created this Store and the first instruments for Foley Collection. This year has been really important for us: new products, new contacts, new customers and of course new friends. But each one of us have our own life. Today Foley Collection announces its new CEO and owner, Alvaro de Iscar, Pro Tools Operator, Sound designer and engineer from Madrid, Spain. Alvaro began this adventure and was the main creator of all the instruments in the Store. Thanks to its experience and his great ideas, we have now this great collection of instruments, and of course, more are coming! He has worked on lots of Spanish Films, TV Series and TV shows and more coming!. He has recorded foley for all this works for more than 5 years, so all his experience in the Foley world is applied to all The Foley Collection Products. He uses all the Foley Collection products in all his low budget projects. A few months ago he created wildtracksoundlibrary.com a collaborative audio library for sound designers and editors. Here he also publishes Audio Libraries. He always record its own audio for all his projects so his experience in audio recording technologies is huge. This is a new great adventure for me. Last year I created this Store with my partners. Now, they leave the project because of their new lifes, and I will ship Foley Collection to a new level! New products, new packs and of course a best support to our customers. 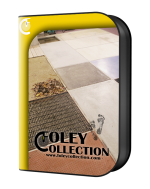 Others can try it, but Foley Collection is real Foley! I hope this great new makes me enjoy this project as I always do! If you want to know more about Alvaro, please check his page at www.alvarodeiscar.com. You will know more about him and his career .